Are Britain’s Youth All Scrooges? 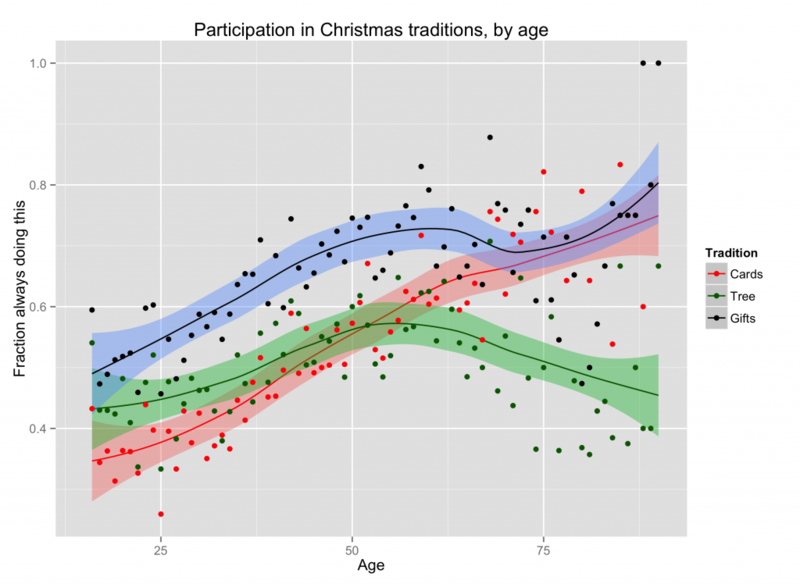 Mark Taylor and the team have been having a look at new data on participation in Christmas traditions. The newest wave of Understanding Society has recently been released on the UK Data Service. 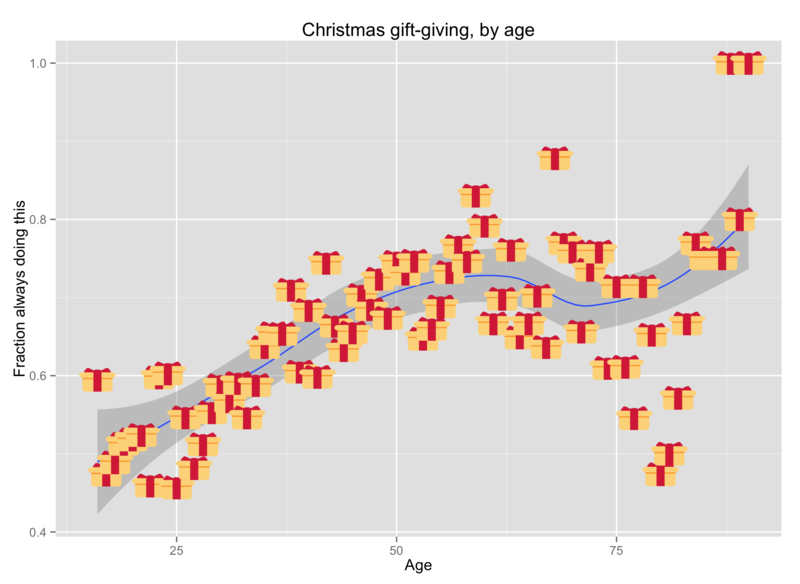 For the first time, this wave has included data on some Christmas-related activities: putting up a Christmas tree, distributing Christmas cards, and giving gifts. How do these vary by age? We had a quick look, and here’s what they look like separately. Below, we have the (unweighted) fraction of people at particular age groups doing these activities, and a Loess curve for how this might vary across age groups. 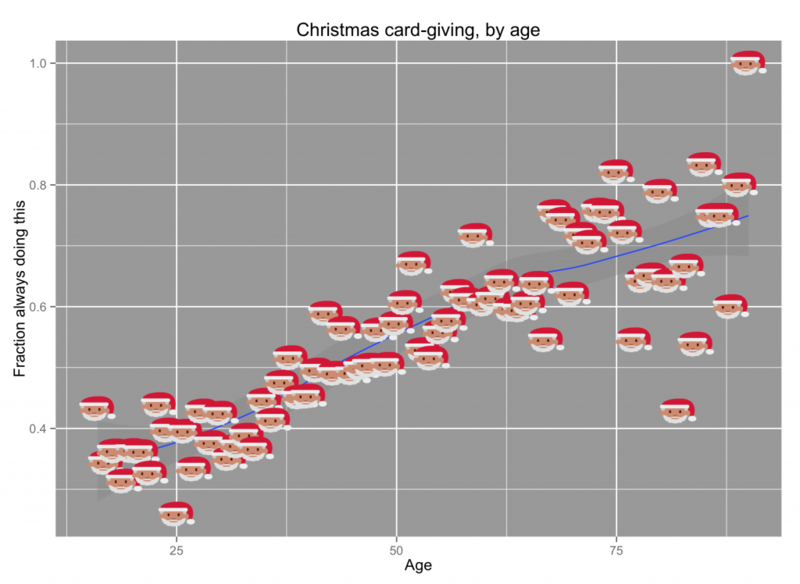 On the face of it, these graphs seem to tell us what we already know, that participation in Christmas is very much a family affair. But how do we explain the Scrooge effect of youth participation in traditional activities? 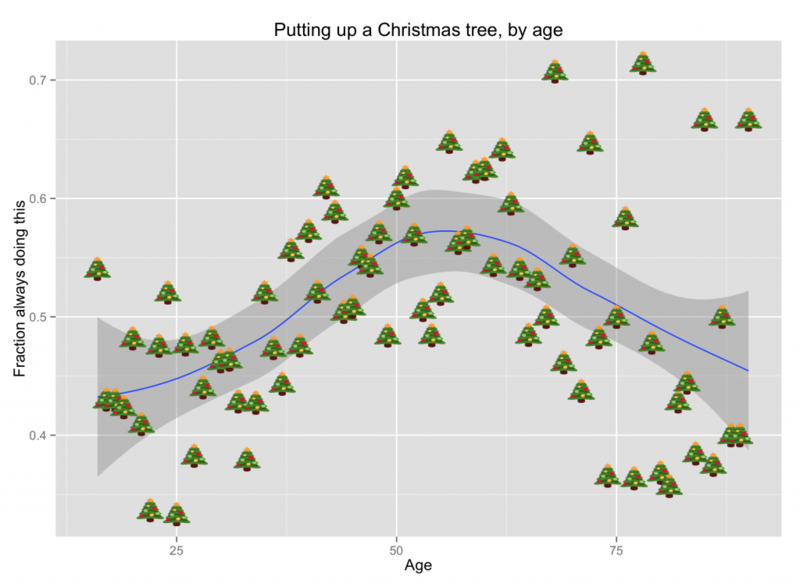 Is it trickle-down participation, in that young adults enjoy the tree-buying of their parents, for example? Or is it renewed engagement as parents become grandparents? Perhaps it is simply related to economics and household dynamics? What do you think? This entry was posted in UEP Findings by Susan Oman. Bookmark the permalink.